For quick sale: $70,000 US (negotiable). Cheap price. Located in Florida. Registered in Canada. This boat needs a few repairs but we don't have time to carry out. After these repairs, you can sell this boat aproximately $100,000 - $125,000 US. For more information you can call us. If you speak French, please call Jean-Luc Richard (see the number below) or if you speak English, please contact Stephane Robert (see the second number below). FOR MORE PICTURES PLEASE CONTACT US AND FOR NEGOTIATE THE PRICE TOO. 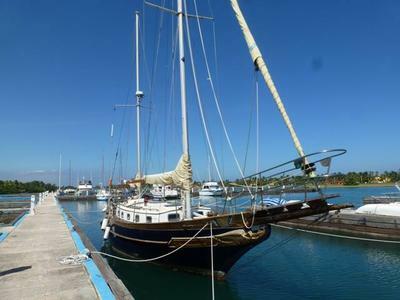 This Ta Chiao CT 42 Mermaid full keel cruiser named 'Catherine' is a very good example of a well cared for solid fiberglass ketch. She features one enclosed staterooms, generator, autopilot, radar/chart plotter and all the amenities you would expect in a fine offshore cruiser. 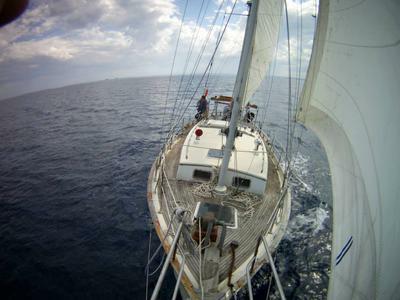 The solid fiberglass hull and full keel is the perfect blend for long offshore passages. 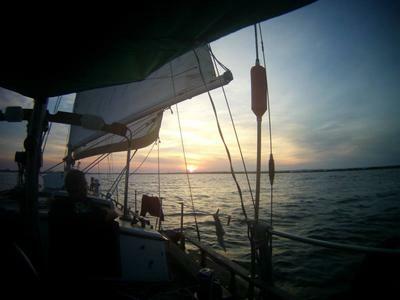 Thinking of Buying a Secondhand Sailboat?